TS Radio Network: Dialysis Advocates with Arlene Mullin #8	FCC ABOUT TO END PUBLIC ACCESS TELEVISION IN AMERICA-ONLY 24 HOURS NOTICE TO RESPOND! Interestingly, Viennese psychiatrist Sigmoid Freud had a Merck connection in that he helped promote their cocaine drug when Sigmund discovered that the drug was a powerful “anti-depressant” (or at least it made him “euphoric” or capable of causing a predictable drug-induced mania). Freud’s support lasted only until the day he realized how addictive Merck’s cocaine turned out to be. Addictive substances that relieve pain, sadness, fatigue, insomnia or just temporarily improve mood have always been great money-makers for businesses like Merck (and every other Big Pharma seller of every drug that is difficult to stop because of the withdrawal effects). Those businesses have learned the lessons well. The huge variety of prescription drugs that are dependency-inducing include every 1) opioid pain pill; every 2) tranquilizer; every3) sleeping pill; every 4) benzodiazepine; every 5) SSRI; every 6) ADHD drug; every 7) psycho-stimulating drug; every 8) dopamine-releasing weight loss drug, and every 9) dopamine-stimulating appetite suppressant drug. Over the past century Merck and every one of their cohorts in crime have developed and marketed innumerable addictive drugs that they then falsely claimed were not addictive when they launched the product. Merck, once a small relatively ethical drug company that once had as its motto “Putting Patients First”, has invented, manufactured and marketed examples of every category of dangerous drug listed above and below, but so has every other Big Pharma corporation on the planet, with frequently disastrous results. What should bother anybody who has an appetite for justice, is that there have been no sincere apologies from any of them, even when they have been forced to fork over millions of dollars in punitive judgements after failing to convince juries of their proclaimed innocence. All three categories do a lot of harm to their customers, and all three know what they are doing. But only the powerful ones in the big corporate group are too big to fail, too big to question and too important to go to jail. Therefore, the ones in that group are usually treated with kid gloves and undeserved respect in the courtroom. 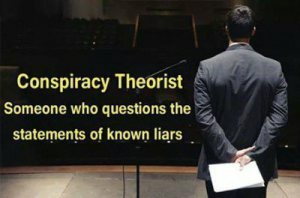 And they are also the ones that do the most damage to society, They are the entities that market their products by cunning propaganda techniques involving the mass media that are unaffordable for anybody else. But a lot of the related damage begins in the clinics of too-busy physicians who are often very easily convinced to prescribe the very drugs that their patients had seen advertised on TV the night before. Often the physician had recently been “detailed” and even given samples of the very drug requested by the patient, thanks to Big Pharma’s efficient “reps” who might have thought to bring along complementary pizzas for the staff. However, despite its many worthwhile medicinal products (for which it was already being handsomely rewarded) Merck, like every other powerful pharmaceutical corporation in the world, got greedy and uber-competitive and thus began to ignore its earlier, now-seemingly naive corporate motto of “Putting Patients First”, all of this at the expense of America’s over-screened, over-diagnosed, over-treated, over-drugged, over-vaccinated and easily-addicted patients. In its earlier, simpler versions of itself, Merck probably had honest intentions of doing what was best for patients. Such intentions are much easier to achieve when organizations are younger, smaller, still altruistic, more humane and therefore less devious. But the reality of Merck’s first 2 centuries was then and this is now – and the company has been periodically exposed as just another one of the many corrupted, too-powerful, Big Pharma corporations that has lied repeatedly, threatened to destroy the careers of whistleblowers, used cunning propaganda, fudged results of studies, acquired political influence and used any number of other unethical business practices that violate the Helsinki Agreements, the Nuremburg Principles, the Precautionary Principle, the Hippocratic Oath and the Doctrine of Informed Consent. Today Merck is America’s second-largest pharmaceutical company (behind Pfizer). Last year, Merck made approximately $47.2 billion in sales. It employs 83,000 people and manufactures and, besides medications and vaccines, also sells medical devices, over-the-counter medications as well as animal vaccines and medications. Lawsuits filed against any corporation are part of why any publicly-traded company’s stock can fluctuate. Share prices naturally tend to go down when personal injury lawsuits occur. Therefore bad news tends to get covered-up. Between 2006-2015 Merck paid out almost $2 billion dollars in lawsuit settlements, and they weren’t the only Big Pharma corporation that got caught and were convicted of deceiving or sickening their customers. A number of other drug companies paid over a billion dollars in punitive settlements over that same span. Below is a list of seven of the most expensive ones. That list doesn’t include the dozens of other Big Pharma corporations that paid out lesser, “just-the-cost-of-doing-business” payments that were only in the hundreds of millions of dollars. I remember being bamboozled a number of times by traveling Big Pharma sales “reps” who managed, often uninvited, to sneak back to my clinic’s drug closet, where were stored a large number of drug patient starter samples that were dropped off daily for the patients. These reps were usually well-dressed, attractive, friendly and they often brought food for the employees. But they were often a nuisance during a busy day. I recall having to endure many a sales pitch while I was vainly trying to catch up on my patient schedule. I recall being “detailed” on any number of Merck’s block-buster drugs, some of which are noted further below. A couple of decades ago I attended an expensive evening dinner of lobster and prime rib that was sponsored by some Big Pharma corporation such as Merck. I don’t recall what the drug was that was pitched by the “hired gun” that was flown in from Chicago (for a one-hour canned lecture that had very impressive visuals that were obviously corporate-produced). I made it a point to sit next to the designated expert speaker who admitted that he had been paid $2,000 by a Big Pharma corporation to give the 1-hour lecture. And our gig wasn’t his only one. He periodically took a day or two off from his private practice and/or his university faculty position in order to do these periodic speeches for the pharmaceutical corporation. The speaker wasn’t very happy about being in small town Minnesota that night, but the money was good. That experience solidified my negative suspicions about the motives of every corporation that wanted to sell me something, especially Big Pharma corporations. I have been a skeptic of every Big Vaccine, Big Pharma, Big Medicine, FDA and CDC agenda ever since my experiences with drug reps and their bosses, and it didn’t take me too long to drop my memberships in the AMA and AAFP, both professional organizations of mine that were obviously co-opted by Big Pharma. Below are a number of examples of potentially toxic drugs that have caused serious damage to patients that resulted in lawsuits against the corporate drug-makers and sellers. The examples are from just one Big Pharma corporation (Merck), but they could just as well have been a list of drugs made by any other corporation. The “ethics” of Big Pharma corporations are “mercantile” or “business” ethics. Their ethics are definitely not the ethics of the medical profession Those two groups should be regarded as very strange bedfellows but, sadly, they are far too often partners in crime. What follows are just a few examples of the many potentially dangerous drugs that Merck manufactured and marketed but which had resulted in serious consequences that resulted in lawsuits. The most well-known corporate scandal involving Merck was the Vioxx scandal. Vioxx was, for about 4 years, a block-buster anti-inflammatory/pain drug but even before its launch, Merck had evidence that Vioxx was causing excessive deaths from heart attacks and strokes. And, just like most corporations getting bad news, it covered-up the facts. Eventually the secret was leaked out and lawsuits against Merck followed. Those lawsuits escalated when Merck issued its dramatic and well-publicized recall of the drug. Shareholder value plummeted by 30% overnight. Some estimates put the Vioxx deaths from heart attacks and strokes at 100,000, and tens of thousands of victims and families of victims sued Merck. In 2007, Merck agreed to pay $4.85 billion to settle most of the pending Vioxx lawsuits. Another important thing that occurred during the Vioxx scandal that pointed out the lack of ethics in the Merck’s corporate culture was the fact that Merck had published a 27-page list of doctors that had been critical of Vioxx. Those “enemies” were to be “neutralized” or “discredited”. One Merck insider said: “We may need to seek them out and destroy them where they live”. Fosamax was the first of a new class of drugs promoted by Big Pharma as a theoretical treatment for the widely over-diagnosed condition known as post-menopausal osteoporosis. Fosamax was found later to have actually caused more of some types of fractures than occurred in placebo groups. It also caused the entirely new syndrome of osteonecrosis of the jaw, an incurable painful condition caused by Fosamax when it was being taken at the same time as a dental extraction. Fosamax-induced osteonecrosis of the jaw is also known as “dead jaw syndrome”. The non-rare syndrome led to FDA warnings, drug recalls, and many Fosamax lawsuits against Merck. In December 2013, Merck agreed to pay a total of $27.7 million to 1,200 osteonecrosis plaintiffs in a class action lawsuit. Approximately 4,000 cases still awaited adjudication as of August 2014. Januvia is a pharmaceutical medication for treating type 2 diabetes. It gained FDA approval in 2006 but has caused many different health problems for patients since, including pancreatic cancer. By 2011, over 200 patients had reported cases of pancreatitis as a result of Januvia. About 10 to 30 percent of these cases were fatal. Patients and their families have filed suit for compensation of these cases. Between 2006 to 2009, 88 cases of acute pancreatitis were linked to Januvia. Merck’s Mevacor was the first in a long line of statin drugs to lower cholesterrol. It belongs to a class of medications called HMG-CoA reductase inhibitors, all of which inadvertently cause serious depletions of the essential enzyme Coenzyme Q-10. Mevacor was approved by the U.S. Food & Drug Administration (FDA) in September 1987. The following adverse reactions have been identified during post-marketing experience of ZOSTAVAX the new shingles vaccine. Because these reactions are reported voluntarily from a population of uncertain size, it is generally not possible to reliably estimate their frequency or establish a causal relationship to the vaccine. Propecia is a synthetic anti-androgenic drug for male-pattern baldness. It can therefore cause feminizing symptoms. In recent years, hundreds of lawsuits have been filed against Merck regarding its in-dwelling, intravaginal contraceptive ring. The synthetic hormones embedded in the NuvaRing can cause drug-induced blood clotting disorders such as venous thromboembolism, deep vein thrombosis, and pulmonary embolism. Tredaptive (a new Merck-developed statin drug combined with niacin) was never available in the US. Merck received regulatory agency approval in 70 countries but only marketed it in 40 countries. The FDA had rejected the application to market Tredaptive in 2009. The drug was voluntarily recalled by Merck in 2013 after a 4-year, 25,000-person study (that was titled: HPS2-THRIVE – see below) revealed many “non-fatal” adverse effects that the company either hadn’t known about prior to launching or at least failed to warn patients and doctors about the adverse effects. Merck ultimately admitted that Tredaptive failed to reduce the incidence of heart attacks, strokes or deaths in the patients that were taking it for there “elevated” lipid levels. INVanz is a new broad-spectrum antibiotic that must be given intravenously. Cancidas is a new intravenous drug for invasive candidiasis. Premarin, the most popular hormone drug for treating menopausal symptoms, is made from the urine of pregnant horses. Even worse, the horses used in or born as a result of this industry are often at risk of being sold for slaughter. Find out more about the bitter truth behind drugs like Premarin, and what can do to help the horses. NAERIC (North American Equine Ranching Council) is established. An organization engaged in the collection of pregnant mares urine (PMU) that reportedly is dedicated to the progressive science-based horse management techniques to ensure the highest possible care standards are utilized in the equine ranching industry. NAERIC is heavily funded by Wyeth and supports horse slaughter. 1997: Premarin® becomes Wyeth-Ayerst’s first brand to reach $1 billion in sales. Since 1976, Wyeth (now a Division of Pfizer) have been fighting on-going lawsuits related to the use of their Premarin® family of drugs. This number is estimated to be as many as 5000 cases primarily related to the incidence of breast cancer. Pfizer’s/Wyeth’s estimated sales figures suggest that Aprela will be available on the market in 2011. Pfizer Q4 2009 earnings from Biopharmaceutical were $14.6 billion, an increase of 30% compared with $11.2 billion in the year-ago quarter. Operationally, revenues increased $2.9 billion, or 26%, of which $2.5 billion, or 22%, was attributable to legacy Wyeth products, primarily Premarin® in the Primary Care unit. Pfizer/Wyeth’s projected sales for their HRT therapies (Premarin®, Aprela®) to exceed one billion USD by 2015. Merck now faces federal charges of fraud from the whistleblowers, a vaccine competitor and doctors in New Jersey and New York. Merck could also need to defend itself in Congress: The staff of representative Bill Posey (R-Fla) — a longstanding critic of the CDC interested in an alleged link between vaccines and autism — is now reviewing some 1,000 documents that the CDC whistleblower turned over to them.